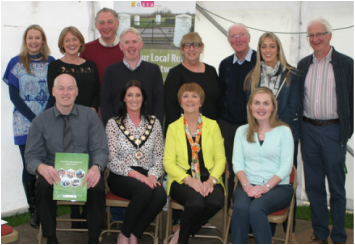 Last year's COSTA Annual General Meeting took place on Wednesday 3rd June 2015, 7:00pm – 8:00pm in the Marquee at COSTA, President Grant’s Homestead, Dergenagh Dungannon. ﻿This was followed by a short round-up and Celebration of COSTA’s achievements during the past year. The AGM was very informal and member groups participated in an excellent networking opportunity to get up-dated on the work of COSTA, and to hear about the latest developments, funding opportunities, and issues for the voluntary and community sector today.